It’s the simple things in life that make it worth living. After being so far from home for a year, you tend to develop strange cravings. You want to eat things you’d never have eaten back home, simple because they remind you of home. Needless to say, anything that is remotely American gets my tastebuds going these days. So imagine my shock and surprise and pure merriment when I went to San Francisco Restaurant in Shkoder and found these beauties! 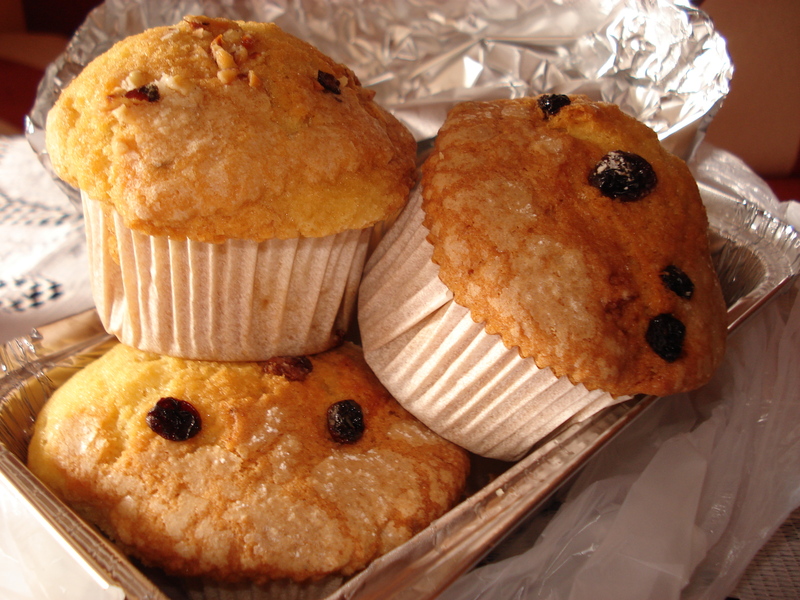 Muffins have come to Albania! Amazing. Simply amazing. 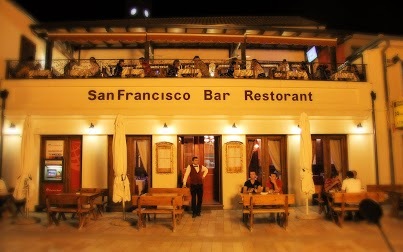 This restaurant is single-handedly bringing change to Albania. Okay maybe I exaggerate a little, but I think it’s the adrenaline talking. The man who owns this miraculous gem of a restaurant defected from the Albanian army back in the 80s, sought political asylum in the U.S., and lived there happily for 17 years. After his long hiatus abroad, he’s finally returned to his homeland with dreams of making it a better place. And he’s starting with food. Which, to me, is exactly where every conversation should start! He’s doing his best to bring American standards of service, running a business, and cooking to Shkoder with a menu featuring pancakes, muffins, barbecue, and so much more. Is your mouth watering yet? It’s a PCV’s dream come true. So in the spirit of strange American cravings, I decided that I absolutely needed to make Puppy Chow (or Muddy Buddies, or whatever you call it). When the thought first came to me it sparked one of those cravings that couldn’t be ignored. I simply had to have them. And I would’ve gone to any length to get me some Puppy Chow. But unfortunately we have almost none of the ingredients for this magical American snack food here in Albania. So I had to make some adjustments. The end result? Not exaaactly like Puppy Chow, but close enough to taste remotely like home and get me through the day. 1.Spread the Corn Flakes an a big pan. Meanwhile, heat a pot on the stove and add in the butter and fake Nutella. Stir slowly until they are melted and well combined. 2. 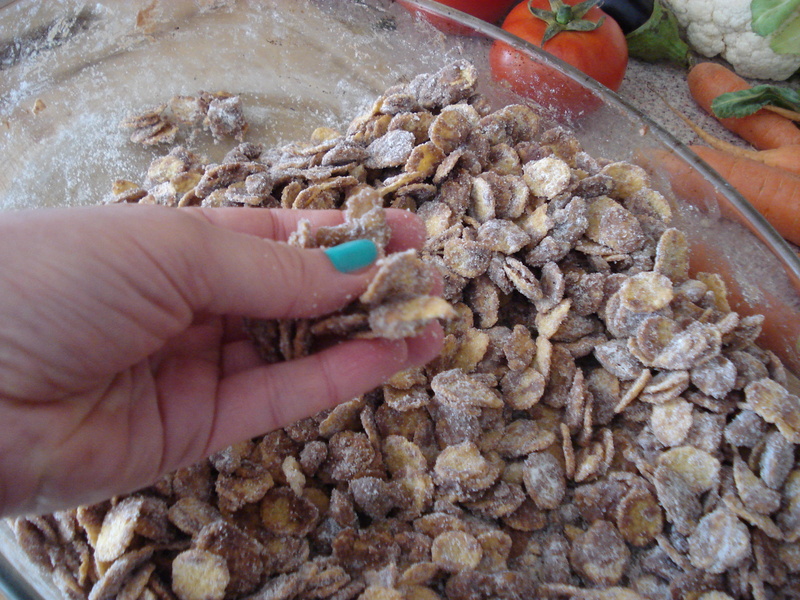 Pour the mixture over the Corn Flakes and stir until they are evenly coated. The Corn Flakes tend to clump together like Chex doesn’t so you have to get your hands dirty and get in there to break them up or you’ll end up with a giant ball of cereal and chocolate. But that’s doesn’t sound all that bad to me, so it’s your choice of course. 3. 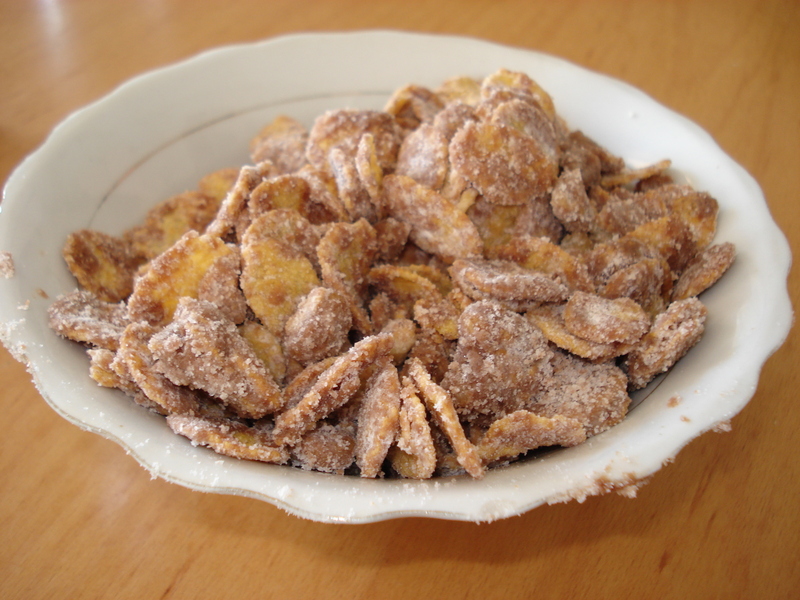 Next, sprinkle the powdered sugar over the cereal and slowly stir so it covers all the flakes. It won’t be all white like real Puppy Chow is because the sugar kind of melts a little no matter how much you add. So just add it til you’re happy and resign yourself to sticky fingers while eating. Now you can save some for tomorrow and give youreself a normal serving size, or just eat the whole thing yourself 🙂 Ju bëftë mirë! Hah, your blog is so interesting ! Was nice going through all your posts ! Stop exactly at this one, because few weeks ago (maybe months), I posted the same on my blog. I learned it this summer from my Kentucky friends, and Puppy Chow is so good, I end up doing it weekly… Hahaha !